Golfing Community Real Estate Blog for the Raleigh, Cary, and Chapel Hill areas. Mortgage rates level off…but what is the future of Interest Rates? 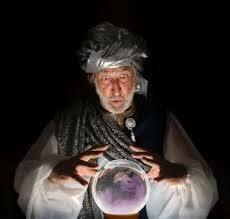 Do you have your Crystal Ball to tell you where interest rates will be in a year? I don’t! Freddie Mac is reporting that interest rates have leveled off a bit after rising since last year. They are averaging 4.4% for a 30-year mortgage. The average 15-year mortgage rate is 3.4%, slightly up from last week. 30-year mortgage rates hit a record low last November at 3.31% but has crept up ever since. The result is a person borrowing $200,000 would be paying $125 more a month today then at its lowest point in November. Demand for mortgages to purchase homes has increased as the market continues to improve, but the demand for refinancing mortgages has fallen in 12 of the last 15 weeks since early May. It can be attributed to the fact that many of those who refinanced over the last year are at a lower rate than is currently being offered. With the overall decrease in mortgage applications, it has leveled demand and as a result, leveled the rate charged. The Market Composite Index, a measure of total loan applications volume fell 4.7% from the previous week. Another indication that the need for a lower rate has subsided. The Refinance Index went down 4% and the Purchase Index went down 5%. According to the Washington Post, the refinance share of mortgage activity has not moved in a month when it reached its lowest point in 27 months. Overall, refinance activity makes up 63% of all mortgage activity. The future of the mortgage rate is anybody’s guess. Some are predicting that as the Federal Reserve relaxes their hold on interest rates, they will start to climb. Part of the reason Interest rates have been so low over the past several years it due to the Fed keeping rates low by buying up mortgages from institutions allowing them to free up capital to make new mortgages. As some point, this will cease, or at least decline, which will result in higher interest rates. According to an article by Yahoo Homes in March, the average rate today compared to 1981, there is no comparison. Rates in 1981 averaged 18.45% where in March of this year, they were 3.51%. If you break down the numbers, a loan for $300,000 in 1981 would cost the borrower over $4,600 per month where in March that same mortgage would be $1,348.81. Will rates ever get back to that level? I would highly doubt they would rise to that level unless the economy collapses as it did during the Carter administration, but I would predict they would continue to rise. I don’t have a crystal ball to say how high the rates will go, but I would think they would inch up to the 6-8% as the market attempt to adjust to inflation and economic trends. I don’t think the Feds would allow the rates to climb to 1981 levels, but they cannot continue to keep them at such low levels. If the economy continues to improve, which is not a guarantee with the Affordable Health Care act taking effect next year and all of the cost associated with it, then rates will follow. Supply and demand is the number one indicator of Interest rates, especially without the interference of the Feds. I would personally recommend you make your home buying or selling decisions while the market is good. Currently, houses are selling and there is a limited number of homes available. Since there is no crystal ball to tell us the future, I would strongly encourage you to take full advantage of the market we are experiencing.